I’ve never been a fan of bookmarks. 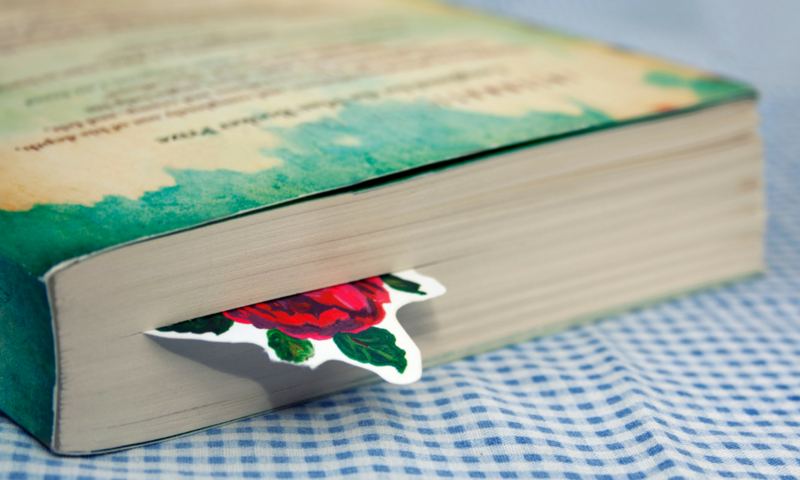 I’m always afraid of trashing a gorgeous bookmark and having to get rid of it. Or I’m afraid that the bookmark will break my books! When it comes down to it, I have an attachment problem (because I can’t throw items away) and I have a perfection problem (because I can’t allow a book to be messed up!). But I have managed to find some particularly good ways to mark my places in my books. 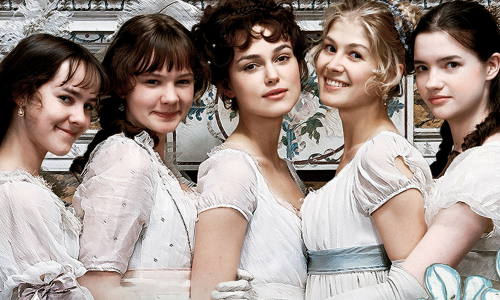 That honestly may be the worst thing ever for a bookworm — not knowing where you left off in your reading! So I’m going to share my secrets and then I’m hoping you’ll share yours with me! 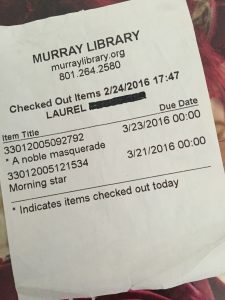 This is helpful for me when I’ve checked out a book from my favorite local library (which I do pretty regularly). I can keep a running reminder of when I need to finish the book (or renew). It’s just a handy bookmark that comes with my library book. I know that it sounds ridiculous, but at least I always have one of these handy! (I should probably start using my newer cards from my new job rather than my old ones. I think the nicest thing ever was after I had loaned a friend one of my books, I received the book back with a homemade bookmark. 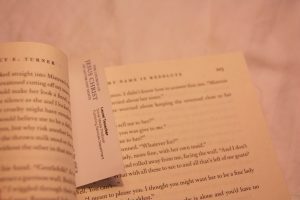 It’s a very simple and smaller bookmark, but it’s perfect to fit in any book and mark my place. Plus it’s just so cute. Who doesn’t love that? 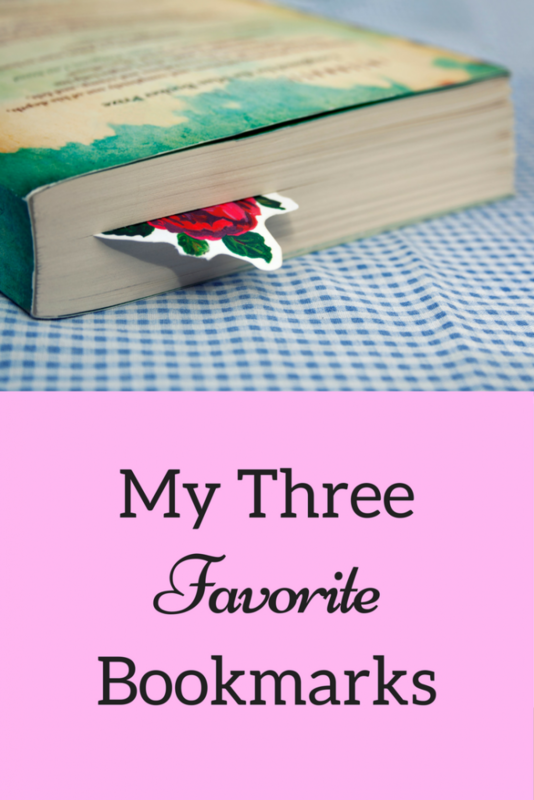 Of course, there are plenty of ideas on Pinterest for bookmarks! While it’s good to keep track of where you are (and essential to any reader who reads multiple books at once), I have learned that what I really love is to mark my favorite spots for future reading sessions. Because there is nothing better than taking one of my books off the shelf and delving through my favorite scenes during on Saturday afternoon. So I’ve discovered sticky notes. 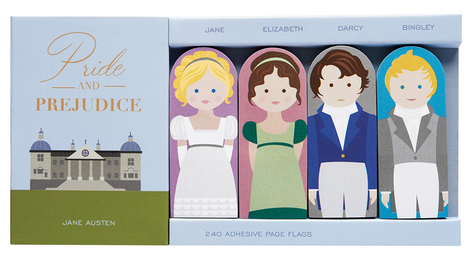 But not just ANY sticky notes, these little specialty “Book Buddies.” I currently have the Pride and Prejudice and Alice in Wonderland. A couple of my favorite books are now littered with these sticky notes to mark my favorite passages or scenes for easy findability later. 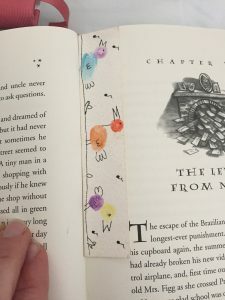 What do you use to mark your spot in your book? I’d love to hear your ideas.